Most of the time when business owners think of IT support, they only think of the most common computer problems that IT professionals can troubleshoot such as downtimes and end-user problems. What they do not realize is that these types of services can also solve one of the most prevalent yet under-diagnosed problems which can cause tens and thousands of net losses to businesses regardless of their size. This is none other than internet spying. What is the technical definition of the term internet spying? Internet spying as able to gain international fame because of the revelation that the US government, particularly the National Security Agency, is spying on its citizens. Aside from telephone conversations, they were also spying on the internet usage of Americans that are currently residing in the US. Even though it was met with negative reviews and reactions, the government defended its move to spy on its citizens by claiming that internet spying is one of the best ways to prevent terrorist attacks which may stem from terrorists that may have infiltrated the US soil. 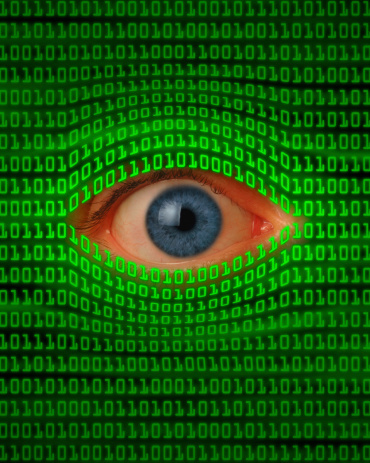 What is internet spying in the world of business? Though in the world of business, internet spying is perceived as a two-way street which can be beneficial to employers or bring unwarranted net loss to the company. In hindsight, it is easy to assume that internet spying can only be executed by illegal third parties such as hackers which are trying to gain access to private company information in order to sell them to the competition. In some cases, these third parties can even be the competition themselves. In reality though, internet spying can also be beneficial for a company as long as it is facilitated and implemented by capable individuals. In this case, the spying is orchestrated by the employer to ensure that the employees do not leak important information to other people or companies. In this case, having superb internet security is of utmost importance. How should employers react to internet spying? When the internet spying is orchestrated by an unwarranted third party, business owners should concentrate on hiring IT specialists that are well-versed in the world of internet security. Aside from knowing the right anti-virus software that they should install, these specialists should also be aware of the preventive measures that can prevent this problem. These measures include orienting the employees on how data can be hacked from their computers. These measures ensure that end-user errors do not cause the leak at any cost. When the internet spying is orchestrated by the employers, IT specialists are still necessary. This is because internet spying can only be implemented by certain software that works both ways. This software can serve as s pathway in which an employer can spy on employees or a third party can spy on an entire company. To ensure that software does not cause unwarranted problems, employers should hire a capable IT team. A team that are well-aware of the right software to use for the job. These are the software applications that will not cause hacking problems. About Author : Aaron Martin, a Southern California native, began my career in computer and networking support after graduating from Baton Rouge College with a degree in computer science. Over 10 years of experience in computers support and computer networking technology. I have managed networks from the local business level to the state level. I love working with technology and meeting business owners to help them with their computer related issues. I am currently working as a Computer consultant in the Santa Ana area. Here I am sharing my experience of computer support field and what kind of problems I faced during job periods but with the best solutions I found.